Toddlers aren’t babies anymore, but they aren’t “big kids” yet either. 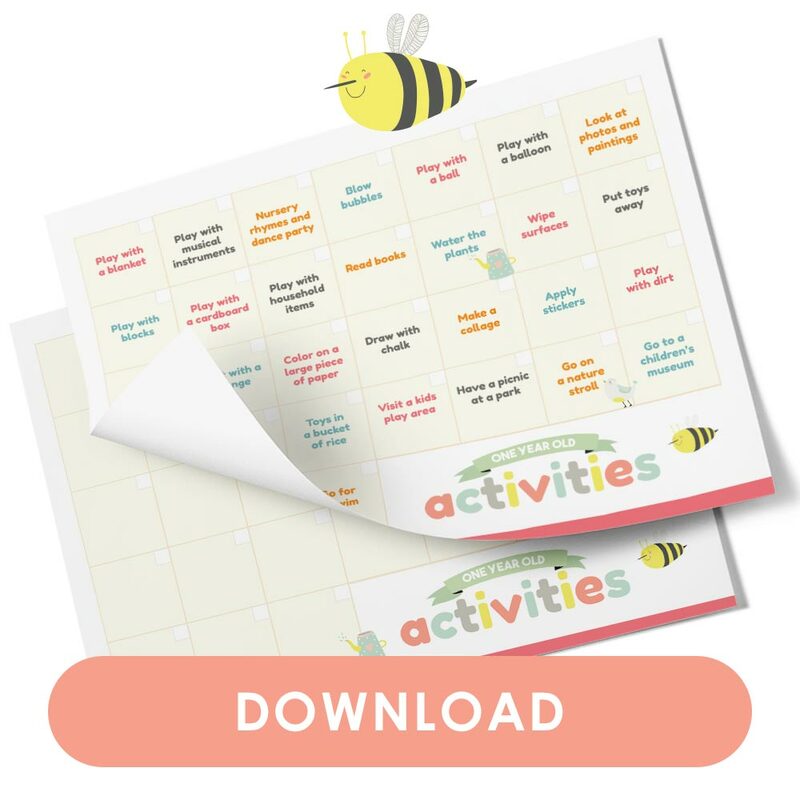 Whether indoors or outdoors, crafts or educational games, here are fun activities for 1 year olds to do. One-year-olds are in that “in between” stage. They’re not babies anymore, especially as they grow more interested in being mobile and developing motor skills. Their ability to play is more advanced than an infant, plus they won’t exactly sit still for a long time. But 1 year olds are also not at the “preschool” stage yet, either. They’re still limited with what they can do, especially on their own. They don’t follow instructions too well, much less create a final product or craft. 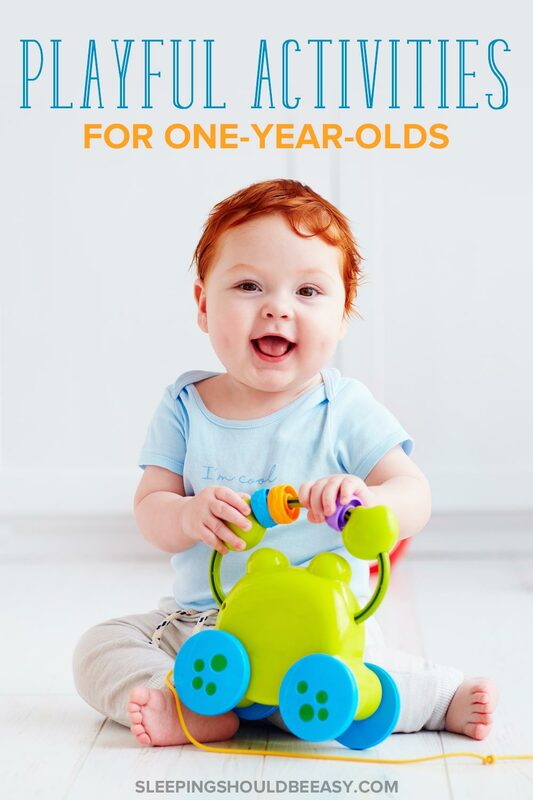 If you’re looking for activities for 1 year olds, you’ve come to the right place. One year olds can’t focus for several hours, so these activities are short. Think of them as bite-size activities to liven up your routine. I also suggest doing one activity a day, and relying on your regular routine to fill the rest of the time. These activities are for the entire range of 1 year olds, from 12 to 24 months. 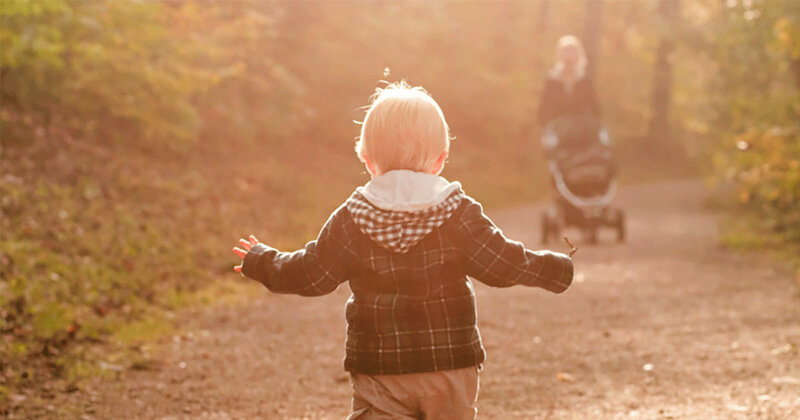 If you find your child isn’t ready for an activity yet, hold off for a time when he is. And finally, I’ve divided these activities for 1 year olds by category to make them easier to refer to. Most interactions with toddlers will happen at home, the very place where boredom tends to fester (cabin fever, anyone?). But don’t worry—as you’ll see, all you need are a few inspirational ideas to play with your 1 year old right at home. This was a favorite activity with my kids. Sit your toddler down and have him grasp the ends of a blanket (a small one is fine). Then, sit in front of him and grasp the other end. Make waves with the blanket by moving it up and down. Hold a dance party at home! 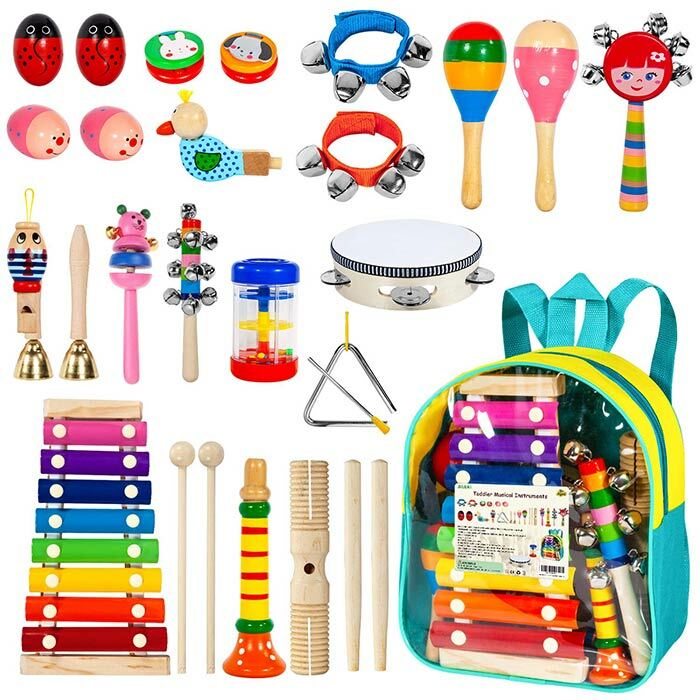 Crank up music you like and dance along with your little one. If he can’t stand yet, carry him in your arms as you dance to the music. Nothing delights 1 year olds more than popping bubbles. Stick to a simple bottle of bubbles like this, or make plenty with a small bubble machine. 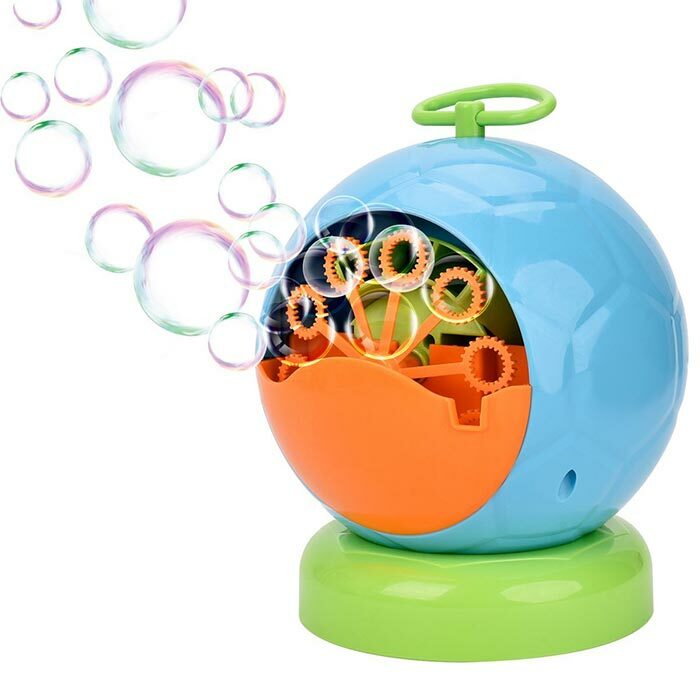 I got this bubble machine which makes awesome bubbles for a long time. Playing with a ball is so versatile. Roll a ball back and forth to one another. If your 1 year old is able, encourage him to kick or throw the ball as well. You can also teach him to throw the ball into a set place, like into a basket. Like a ball, a balloon makes for fun play with a 1 year old. If the balloon still has helium, attach a weight to the string so the balloon floats to your child’s head level. He’ll have a blast hitting the balloon and waiting for it to come right back. If the balloon is deflated, cut the string off and have your child toss it in the air and catch it. The air in the balloon makes for a slow fall—and an easier catch—for your 1 year old. You likely have walls and surfaces filled with picture frames and artwork. Carry or show your child the different images throughout your home. Explain who the people are in the pictures, or what the artwork is all about. An alternative is to flip through albums (remember those?) and share old photos of loved ones. He’ll enjoy looking at people—familiar and new. Looking at picture frames and albums is a fun way to share stories of loved ones. I’m a fan of foam blocks since they’re easy to stack. Teach your child how to stack one block on top of the other. 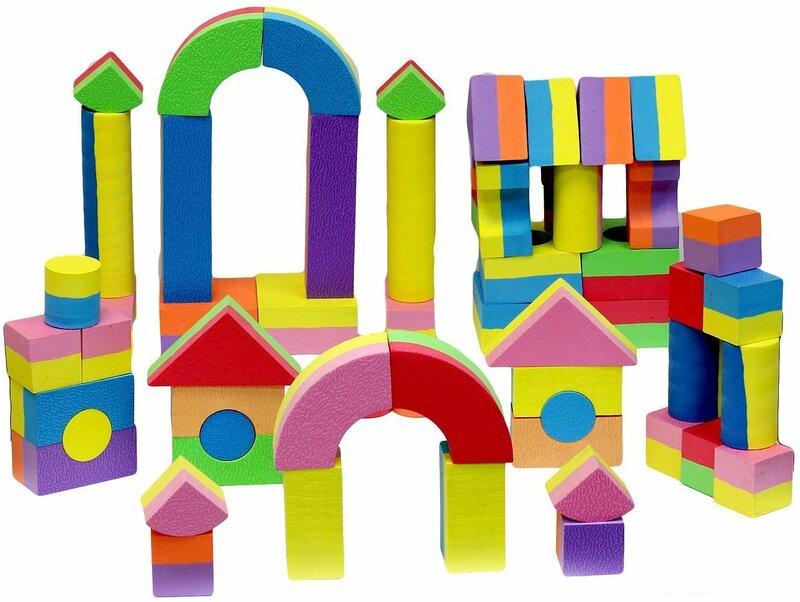 Build a tower and have him knock it down, or help him build something out of the blocks. My favorite activity to do with my kids! There were times I didn’t know what else to do with them that we’d sit and read until my voice was too tired. Scatter books throughout your home, and visit the library regularly for new selections. 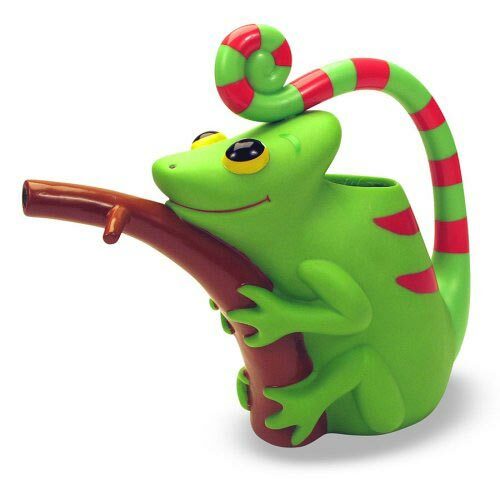 Fill a small plastic cup, or get a child-friendly watering can like the one below, and show your child how to water plants. Stick to low, floor plants or those you can move for better access. Need to wipe the coffee table? Spray the surface, then hand your little one a rag he can use to wipe. I recommend eco-friendly products like Mrs. Meyers when you do this with your child. After playing with a set of toys with many parts (Lego or blocks, for instance), make a game of putting them away. You might count each piece as you put them away, or sort them by color. You and your toddler can also take turns tossing the pieces back in the box. Fair warning: I’m not a “crafty” mom. That’s why these activities for 1 year olds are for the mom without containers of art supplies. Any kind of art or craft a 1 year old does focuses more on introducing basic concepts than a final product. Finger painting, for example, is about experiencing the texture of paint and the idea of applying color to paper… not creating a picturesque image of a house. Finger painting with a 1 year old is more about the experience of painting than producing a work of art. In fact, your child’s paper will likely be nothing more than a soaked sheet with layers of paint. But that’s besides the point. 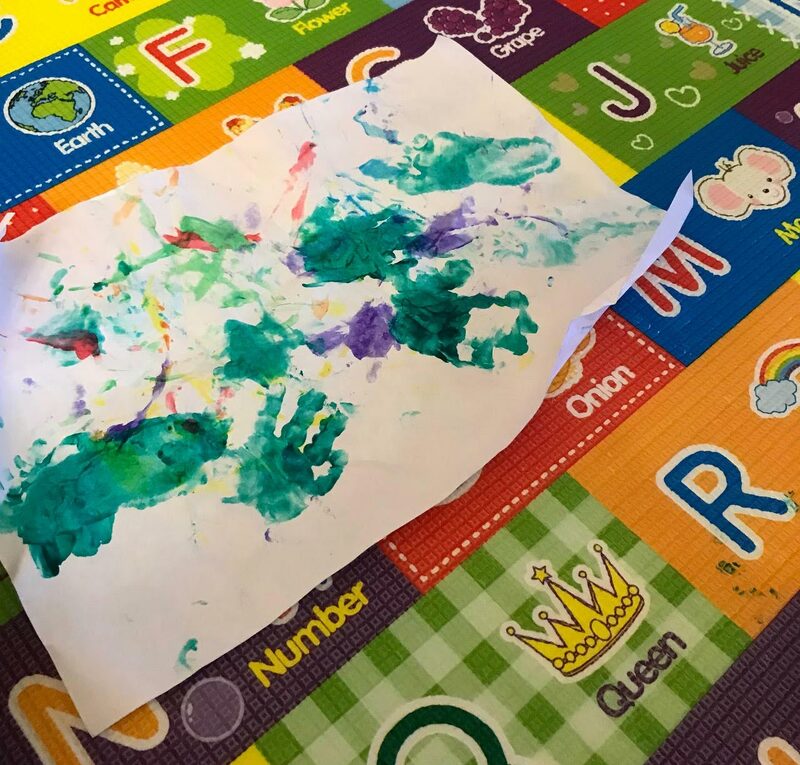 Finger painting allows your child to touch paint, and learn what it is and what happens when you mix them together. He’s also using his fingers, which is a perfect introduction to painting if he can’t grasp a paintbrush yet. He’ll experiment with putting it on a surface (and yes, sometimes on himself), and you’ll have a fantastic opportunity to discuss color. I recommend getting washable finger paint like these. You don’t need a ton of colors right now, only a few to mix and experiment with. Get smocks to cover his body or keep him in his diapers and bathe him afterward. 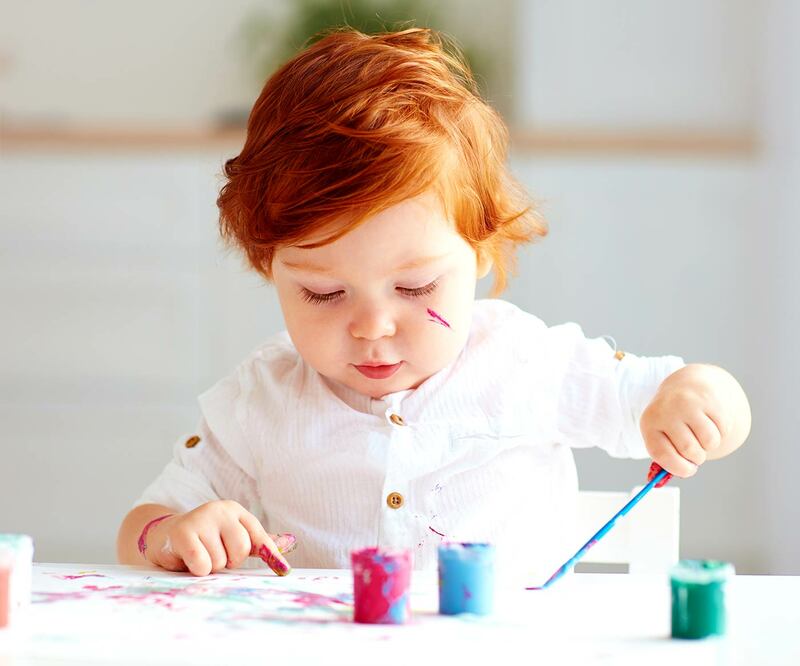 Painting with a sponge only requires your child to be able to grasp a sponge rather than hold a brush. You can talk about the different patterns a sponge can make, and show him a few ways to apply it, such as dabbing or rubbing it straight down. Get simple sponges without the brittle surface on the other side. You can also use scissors to cut these in half so your toddler can hold them better. “We have done a few things from your list and I have checked them off of your calendar and added them to the blank calendar. I love your list because you give suggestions with objects and things that I had never thought of. We really appreciate you sharing your ideas—they are great!” -Elissa B. A fantastic way to develop fine motor skills and grasping a crayon is to encourage your child to color. Tape a large piece of paper onto a low table, such as a coffee table or an art table. Then have your child scribble colors all over. 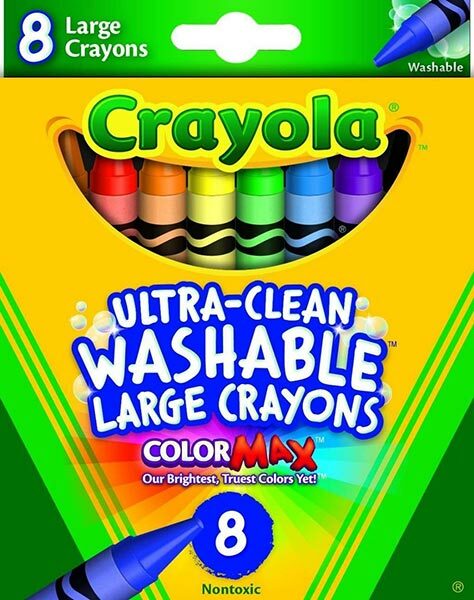 Get washable crayons so you don’t have to worry about damaging any surfaces. I have a low children’s table that adjusts to my children’s height. This is a great option if you don’t want other surfaces in your home to get colored. Get more ideas for arts and crafts for 1 year olds. Chalk is another art supply that lends itself well to 1 year olds. 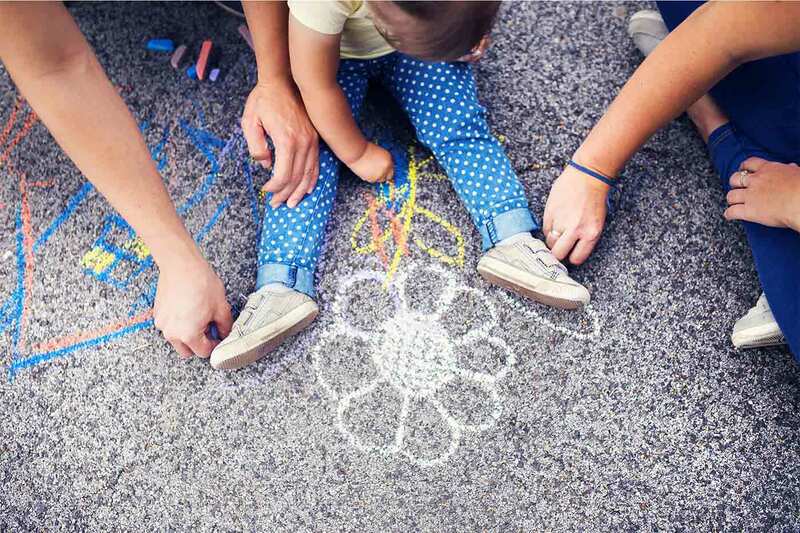 Bigger chalks are easier to grasp, and they work well either on a chalkboard at home or on the sidewalk outside. Gluing bits of material on a piece of paper is a fun activity for your child. Let him lead the activity rather than trying to create something discernible. For instance, don’t insist on making clouds with cotton balls and tell him where to glue. Instead, let him decide where he wants to place the pieces. You can use any type of bits to glue. 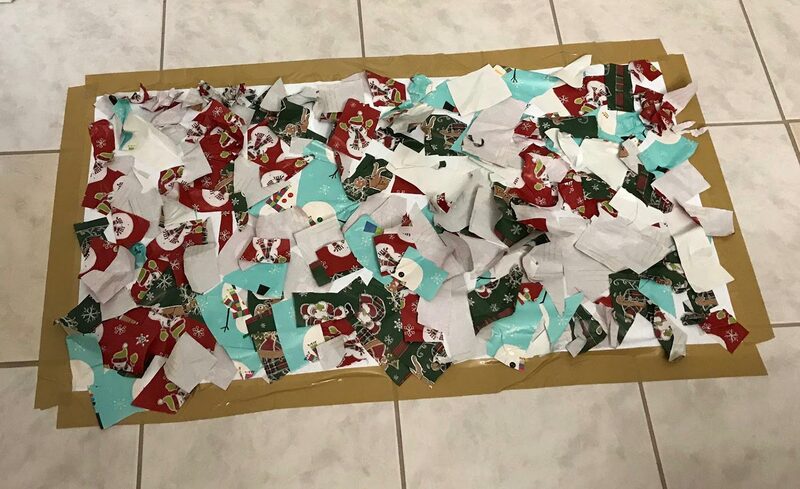 Cut junk mail or old scraps of paper into small bits and have him practice gluing. Start with a glue stick, then work your way up to liquid glue. If your child can’t squeeze the bottle, pour some onto a paper plate he can dip the bits into. Stickers help your child develop the “pincer grasp,” that fine motor skill of using his thumb and pointer finger to pick things up. Lift the sticker first, then have him pull the rest off the sheet. Finally, give him a paper or other surface to place the stickers on. You can re-use old pieces of paper or even create a “card” he can decorate and send to a loved one. I’m a big fan of letting kids play in real dirt. We either head to the park or play with an empty pot of soil on the patio, where they love digging and playing with trucks on the surfaces. Encourage your toddler to get his hands dirty. Find an empty spot at a park or your garden with plenty of soil to dig and explore. One of the first activities my kids did at their Montessori preschool is learning to pour water. Recreate the activity at home, using a large, rimmed baking sheet to catch spills, a small bowl to pour water into, and a plastic measuring cup with a handle. Fill the measuring cup with a little bit of water and show your child how to hold the handle and pour the water into the bowl. Once he’s finished, repeat for a fun exercise in pouring. Besides painting, you can use a sponge for water play as well. Fill a bowl with water and allow your child to dip the sponge and squeeze the water out. You can also have him squeeze water out of the sponge into another container, just like you did with the water pouring activity. There’s something thrilling about dipping your hand into a bucket of rice. Your child will love exploring the feel of rice, especially when he can play with toys at the same time. Fill a large container or bucket with rice and place a few simple toys inside. Encourage him to find the toys or use it as a setting for pretend play. Depending on where you live, you might have a play area dedicated to young toddlers. Some are outright indoor playgrounds, while others are play rooms with pretend furniture and props. I’ve gone to restaurants with impressive play areas as well (and not fast food, either!). Many malls also include a children’s play area. Regardless of where you go, get there when it opens so you have more chances to have the place to yourself and avoid the crowds. One of the best outdoor activities for 1 year olds is to pack your toddler’s meal and take it to the park! Bring a picnic blanket where you can both sit and enjoy a meal outdoors. Pick a spot under a tree so he can lie down, watch the leaves move, and relax in the shade. Walking through nature is one of my favorite activities, and it doesn’t have to be strenuous! Local spots can include a favorite trail, a botanical garden, or wetlands near your place. You don’t have to go far, either. Base your outing more on time spent outdoors than actually trying to get through the whole place, even if it means staying near the entrance. For instance, rather than trying to get through your entire hike, walk for 15 minutes in one direction, then another 15 minutes back. A favorite pastime, especially with my eldest, was walking around the neighborhood. We’d explore everything, from leaves on the ground to sprinklers on the sidewalk. I went at his pace, starting with one block at first until we were able to explore most of our area. Many cities have a children’s museum that offers hands-on discovery. I like those that cater to kids of all ages. Several include a “tot room” for little ones without the ambush of the big kids. You can go to a “regular” museum as well. Toddlers will be happy walking around and exploring a new place. There’s something about watching people play live music right in front of you. Kid-friendly concerts don’t have to be an extravagant outing. Many farmers’ markets include live music from a band, and your city might offer concerts in the summer. Kids love riding trains, no matter where they are or what the view offers. We’ve gone on train rides at farmers’ markets or at the pumpkin patch. I’ve also put them on kids-only train rides at the mall or a kids play area. Warm weather calls for a dip in the pool! Introduce the pool to your toddler early on so he feels comfortable swimming with you. As easily entertained as toddlers can be, it’s amazing how challenging it is to find activities for 1 year olds every day. But as you can see, you can do many of these activities in a few minutes in the comfort of your home, as well as plan for exciting ones on big days. One year olds aren’t babies we can carry around in a wrap anymore, but they’re still small without the skills a preschooler may have. These activities cater to that “in between” stage. You’ll introduce your child to new concepts and environments while relishing in his ability to find joy in simple activities. …Even if it’s singing Hokey Pokey and coloring on cardboard. “I need to thank you for all your great advice. I just had a baby who is three weeks old and her big brother who is three and a half was adjusting. His attitude was sometimes downright scary. He even hit me and it broke my heart. I’ve been applying your tips and I feel more connected to him and at ease. His teacher also told me how he’s been such a different kid! He listens, uses manners, and is so much kinder. Liked this article about activities for 1 year olds? Share it on Pinterest and Facebook! I love this list! My kids are past this point now (I can’t even believe I am saying that– I didn’t think it was possible) but I loved doing these kinds of things with them. Great post! Lovely and very interesting ideas for every parent to consider and put into practice. Thanks for these great ideas. I’m a Grandma now and like finding things I can do with my grandson. Thanks for these great ideas ! 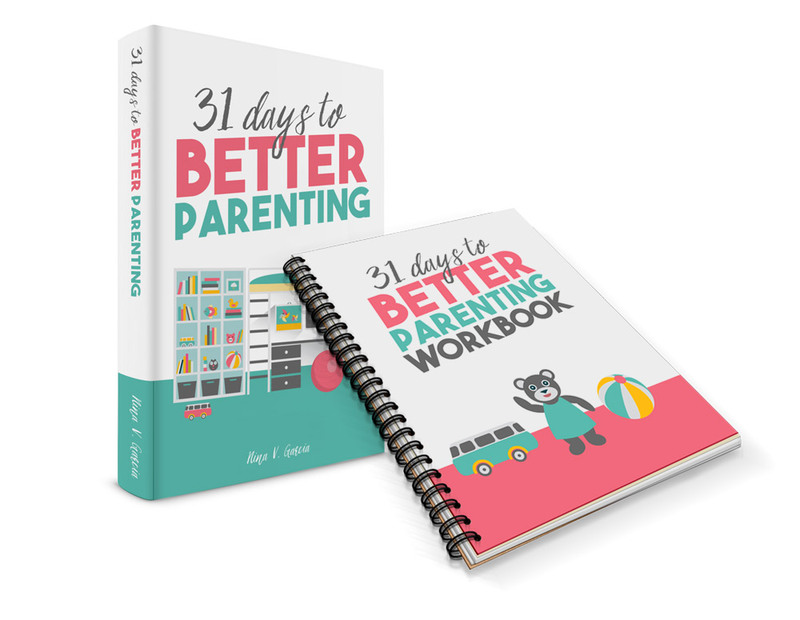 It really very interesting ideas for every parent to consider !! I’m so glad you found them helpful, Pooja! I appreciate you letting me know. 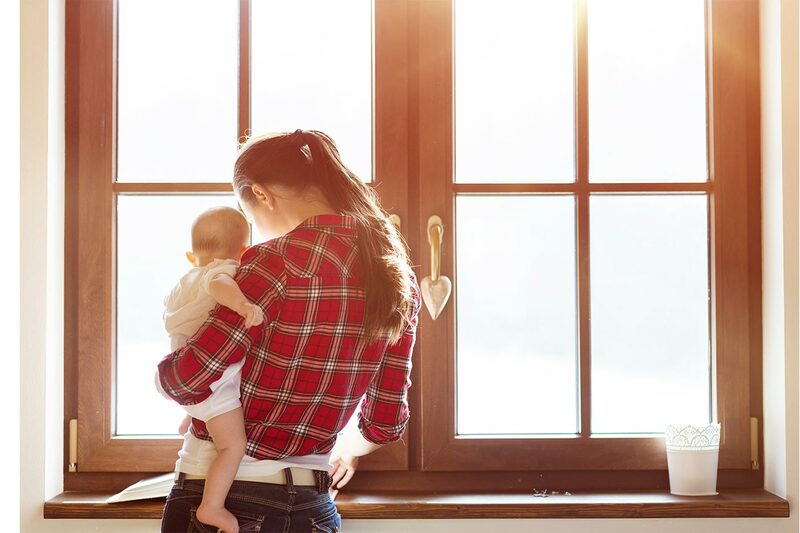 What does your day to day routine look like with your baby? I am a stay at home mom, and just wondering how to have a nice playfilled routine for her. thank you for sharing, i’ve been looking for ways to make my baby play time more creative. I will start doing this stuff soon. my daughter takes everything in her mouth and hence I am extremely vary of doing any activity with her. Kindly suggest how to overcome this. Hi Divya! As she starts to learn how to do these activities, constant vigilance is key 🙂 She’ll learn that crayons and paints don’t go in her mouth the more you reinforce what they are for. That said, it’s always best to get non-toxic, child-friendly materials, too.